Being based in Marin, we’re blessed with more than our fair share of good weather and an abundance of recreation options. 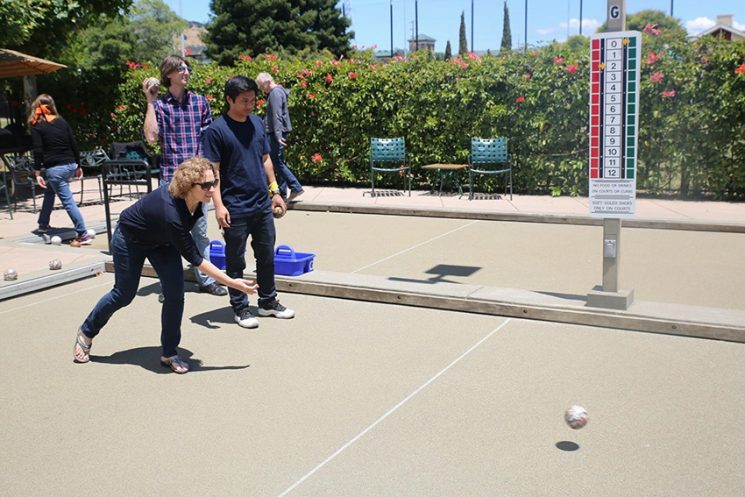 For an early Summer Kiosk company social, that meant a trip to the Marin Bocce Federation in San Rafael, for an afternoon of cool refreshments and just the right amount of leisurely competitive sports. 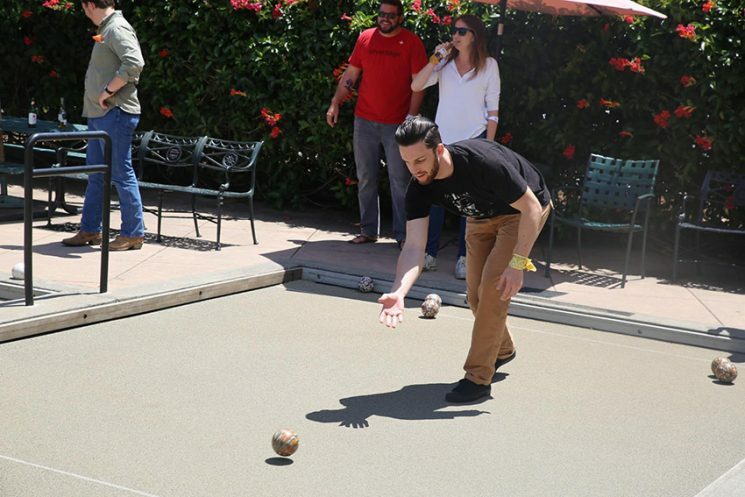 The object of bocce is to get your ball closest to the pallino (or “jack”, the small white ball that becomes the target). The sport is easy to pick up and play, with a gentle learning curve. 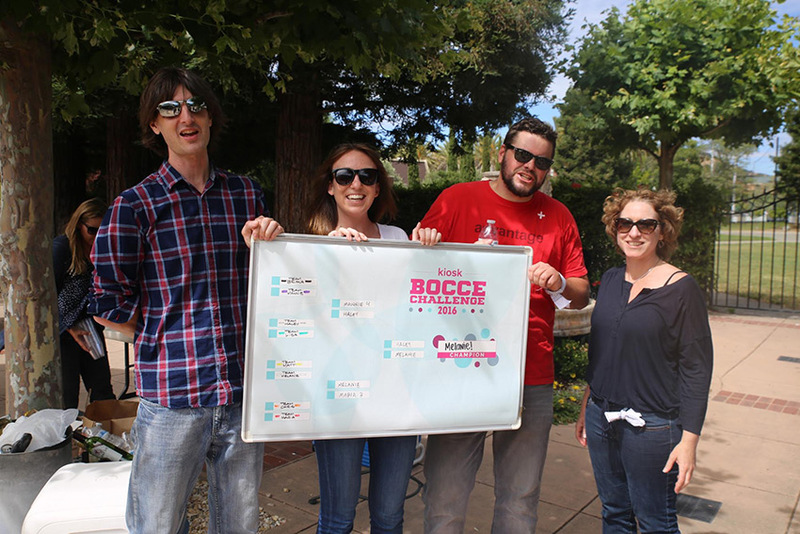 But once the office split up into teams for some bocce bracketology, bocce balls were rolling down multiple courts, things started to get more competitive, and occasionally tape measures were settling “who got closer” disputes. The eventual winner? Team Melanie, following a down-to-the-wire showdown with Team Haley. 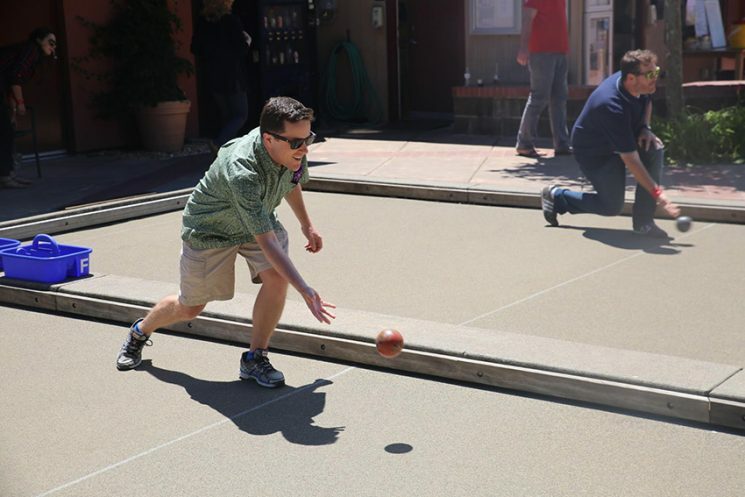 Thanks to the Marin Bocce Federation for a fun day on their scenic courts.